As malls empty out, these retail spaces are being repurposed, and churches are taking advantage. Worship spaces are a common reuse for these abandoned stores, gyms and restaurants. It’s almost commonplace now to see faith communities worshiping in repurposed gyms, shoe or sporting goods stores, even movie theaters. One clear consequence is the challenge of acoustics. In these reused buildings, how do you account for a church’s acoustic needs? Quiet reflection and worshipful music are very different than browsing for books or watching a movie. 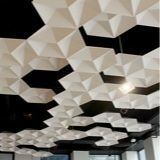 Designers can address these needs by looking at what good and bad exists in the bones of the space, and compensating with good acoustic design to match the new needs in the space. In this article, we’ll discuss the most common acoustic issues encountered by repurposed spaces and the flexible design solutions that can be implemented to resolve them. Congregations all over the country have run into the same problems: echo, a lack of intimacy and distracting background noise. 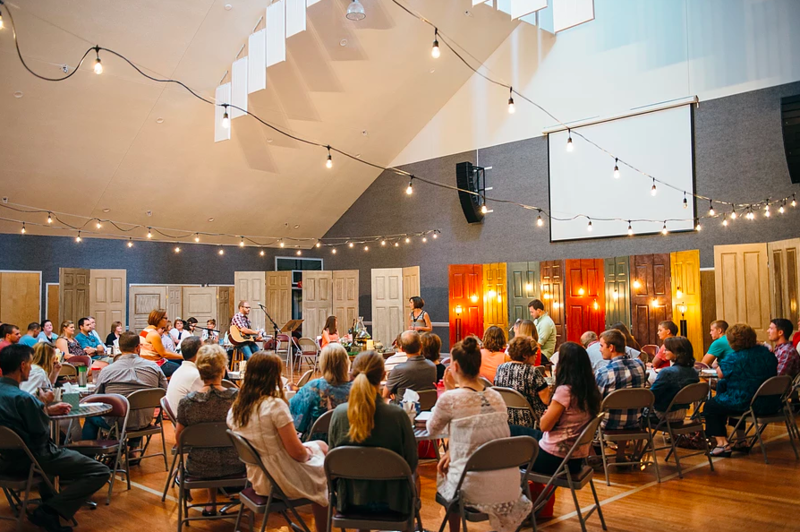 It makes sense: congregations that meet in a repurposed space are likely relatively small (hence the need to rent an existing building instead of build a dedicated space). When they gather in these huge rooms without tailored sound control, they experience echo as well as a lack of privacy or quiet areas for reflection. Some larger congregations reuse large buildings but ones not expressly designed for the needs of a worship space. Problems even come from outside the worship space. Many of these flexible congregations meet in malls cities and metropolitan areas, so distraction can come in the form of outside noise like traffic, further detracting from the reflective ambience of the space. 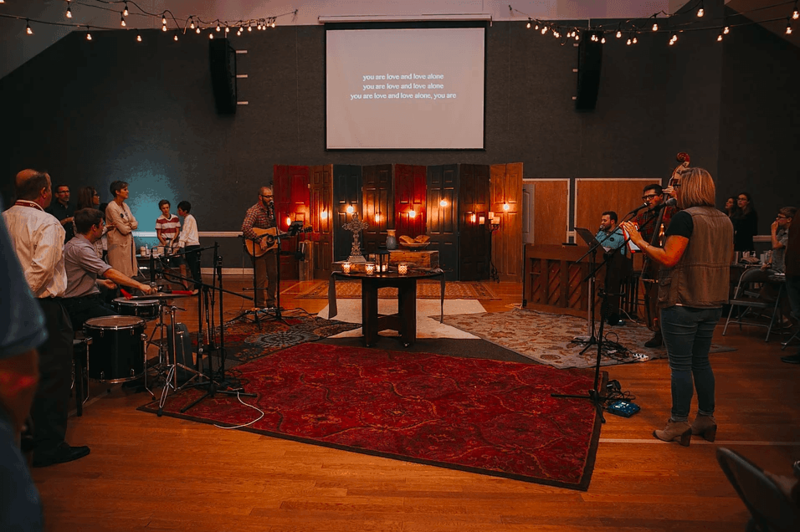 Of course, as congregations have encountered these acoustic issues, they’ve found solutions that help them create the insulated, reflective space they need. By nature, multipurpose spaces should be flexible, able to handle both large and small crowds. However, you can’t just expect a large open room to sound the same for every size of group. Instead, multi-use spaces have to be designed or retrofitted to be flexible. Luckily, occupants can make use of acoustic partitions, movable walls or heavy drapes to curate a worship space for their every need. However, church leadership should be sure to find solutions that fit the aesthetic they’re trying to create. 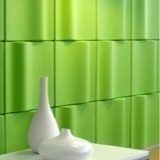 Kirei’s EchoPanel Paneling, for example, is available in several colors so that flexible acoustic solutions can blend in instead of taking center stage. With modular acoustic solutions on hand, congregations can use a wide open space for Sunday morning, or half the room for weekday meetings. 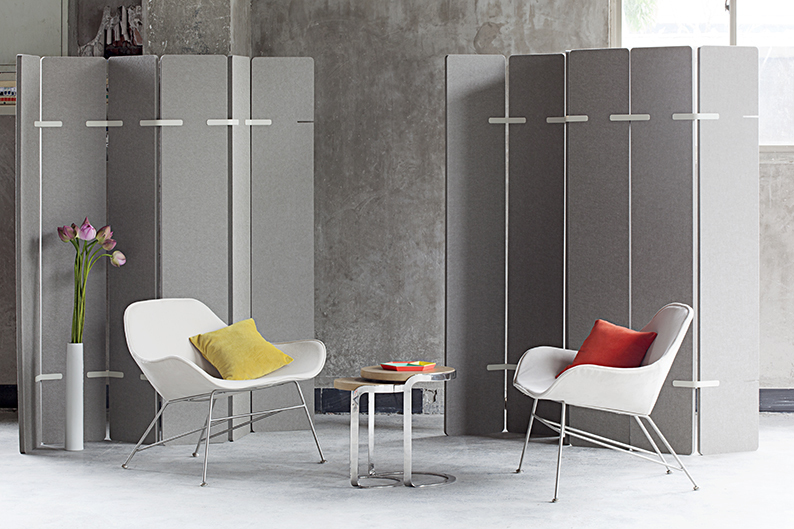 Thoughtful room dividers ensure that a multipurpose space doesn’t have to be one size fits all. Regardless of the flexible solutions employed throughout the space, be sure to integrate ceiling and wall treatments to create the perfect canvas for worship. Unfortunately, modern worship services are rarely held in spaces designed with introspection in mind. Gyms especially are full of hardwoods, flat walls, and large open ceilings that can have awful acoustics for a reflective space. 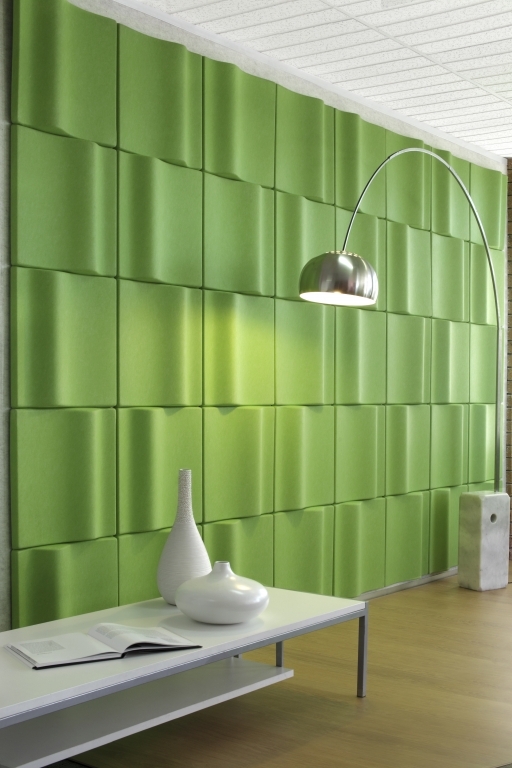 You can limit the effect of reverberation with acoustic wall covers or ceiling baffles to create a more neutral space. 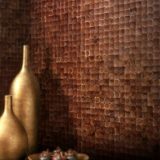 But don’t just focus on the technical specs: be sure to implement acoustic solutions that will disguise the original use of the space and enhance the decor. 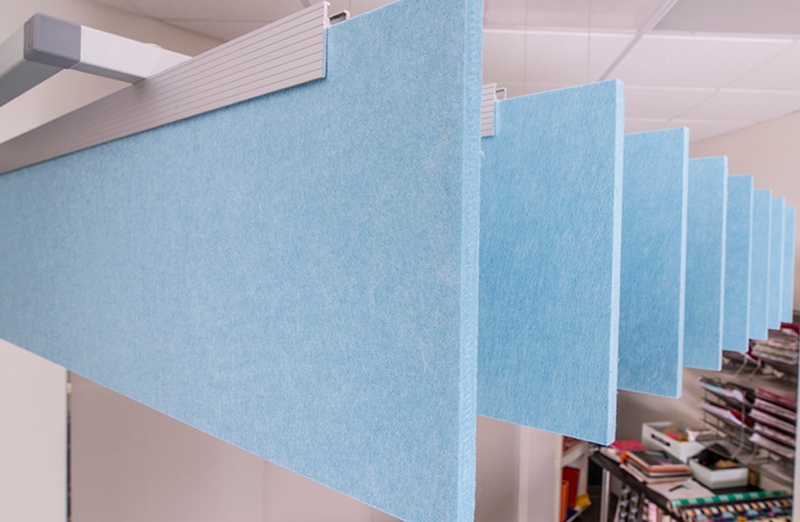 Ceiling baffles are especially useful for multipurpose spaces. By installing a baffle like Kirei’s EchoSky, the ceiling appears to drop to a more reasonable height, and background noise is quieted. Even a repurposed gym can feel cozy and reflective. Beyond purchasing and installing acoustic products, modern churches can keep noise control in mind when decorating their worship space. When a faith community sets up for a service, they should consider using area rugs to hide audio cables and dampen echos. 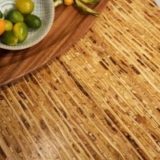 Seating and tables made of wood (instead of metal) will help damper noise. Congregations can also take flexible design a step further by ensuring that every piece of furniture and decor has alternate uses. Carpets easily make soft places for children to gather for Sunday School or midweek meetings. Tables and seating should be easy to move and store, so a space can quickly adapt to a congregation’s need. Until future-proof design becomes the norm, designers can employ several different solutions to create a true multi-purpose space. From choosing the right finishing touches to installing general acoustic solutions on the ceiling and walls, designers can help faith communities create successful, flexible worship spaces outside of traditional buildings and gathering spaces. If you’re looking for more tips on addressing acoustics in flexible spaces, head over to our Acoustics 101 page for even more insight solutions and design ideas!